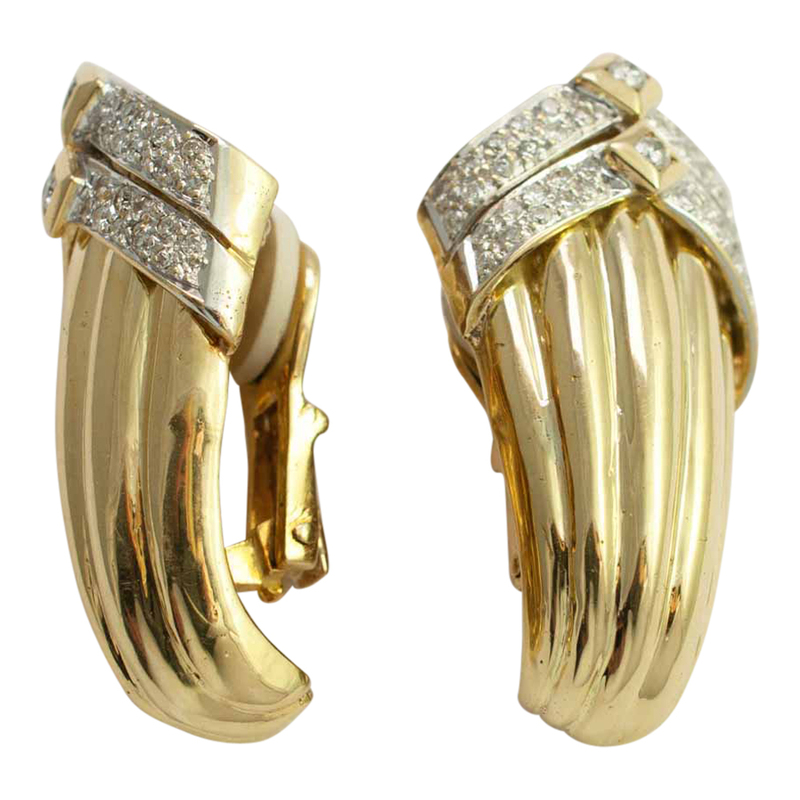 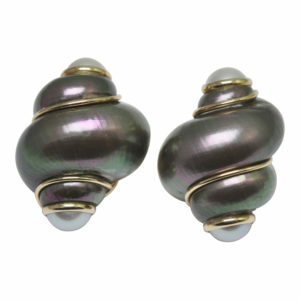 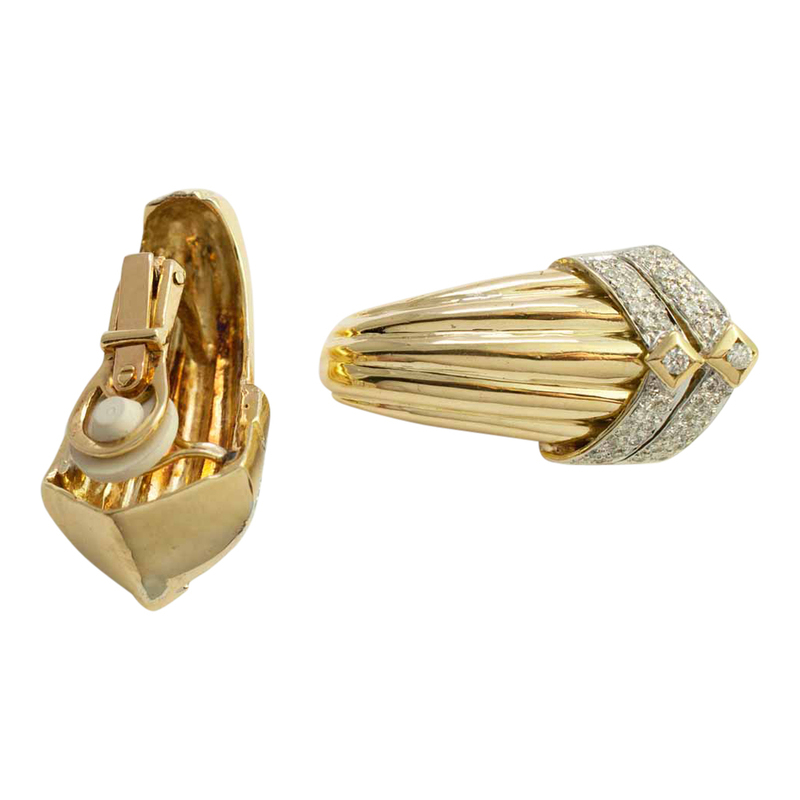 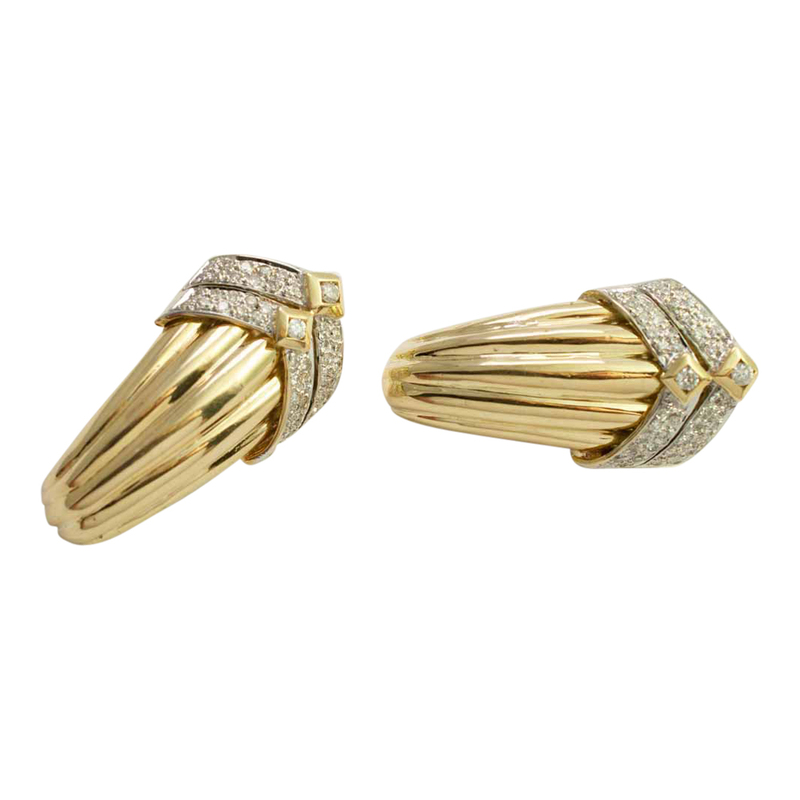 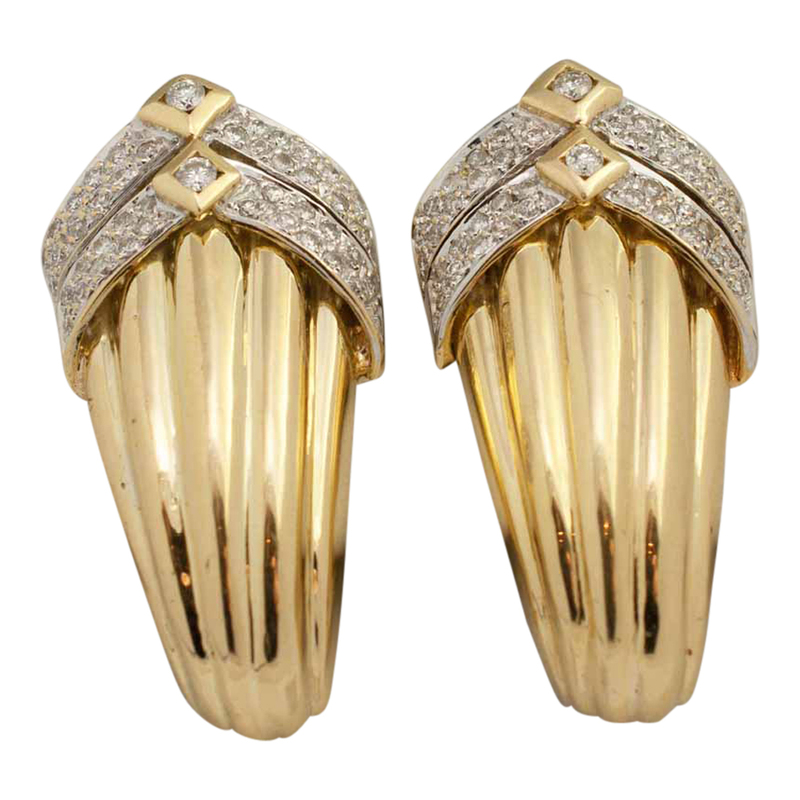 Dramatic, large, 18ct gold and diamond clip-on earrings. 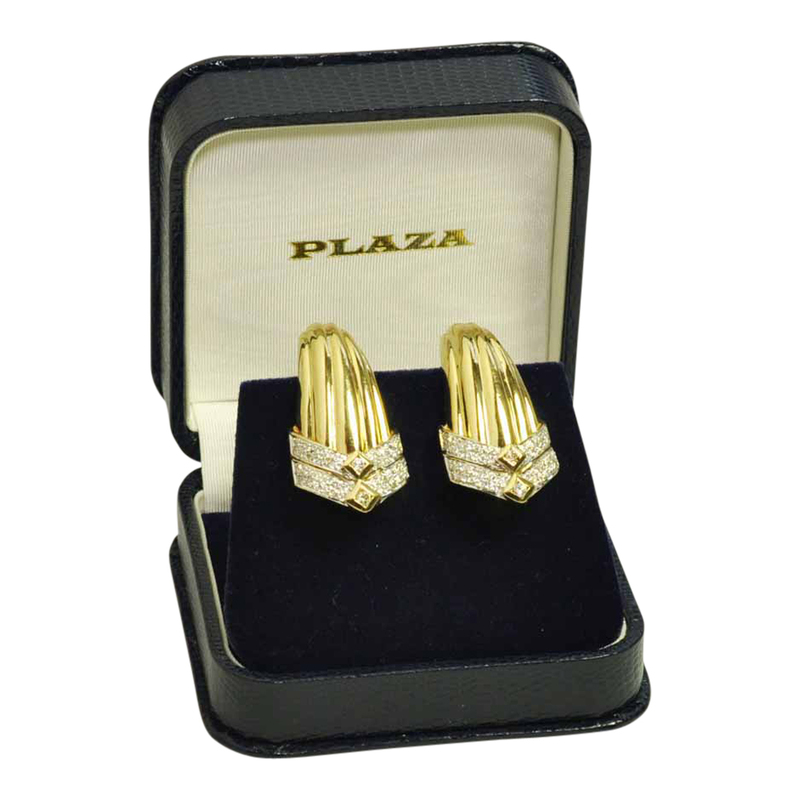 These are in a ribbed gold design with diamond set chevrons at the top. 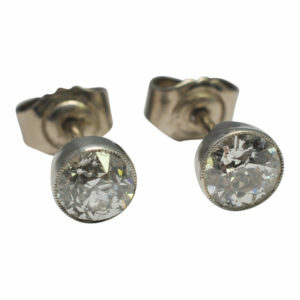 The brilliant cut diamonds weigh 1ct. 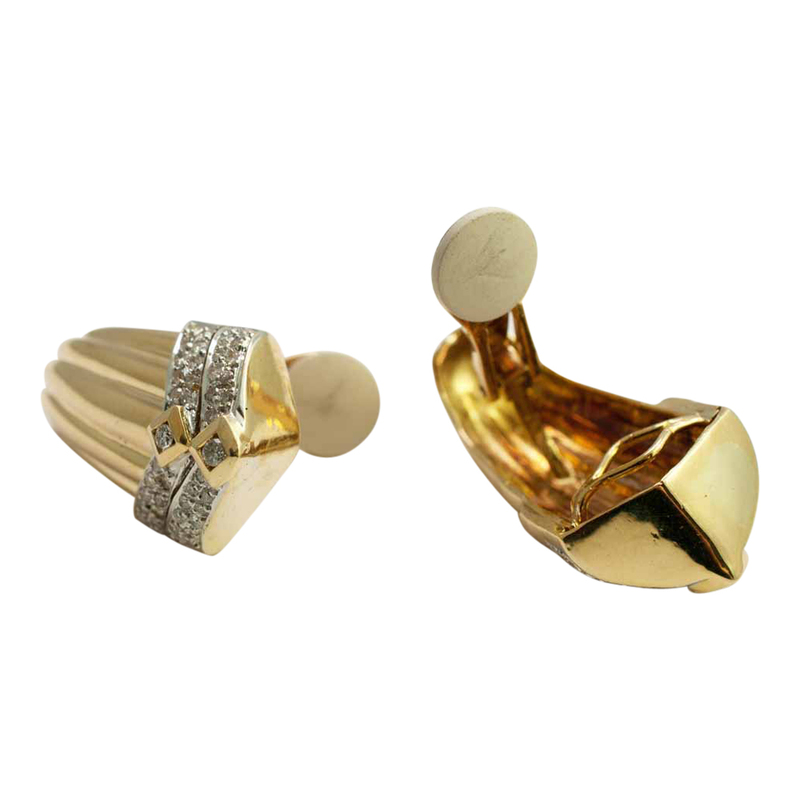 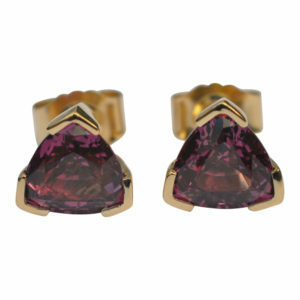 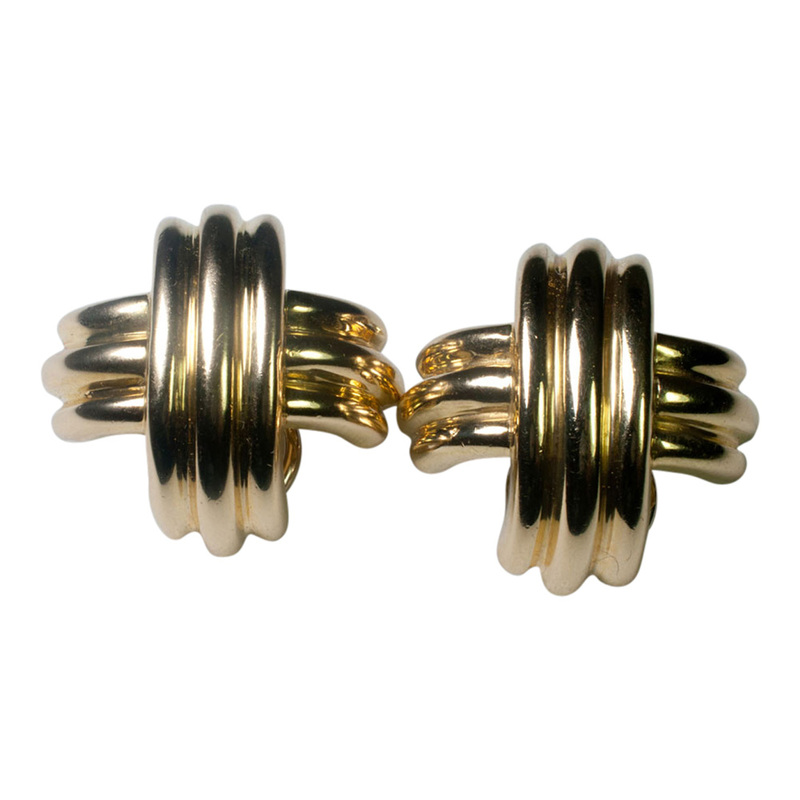 The earrings are for non-pierced ears and are fixed with a strong gold clip. 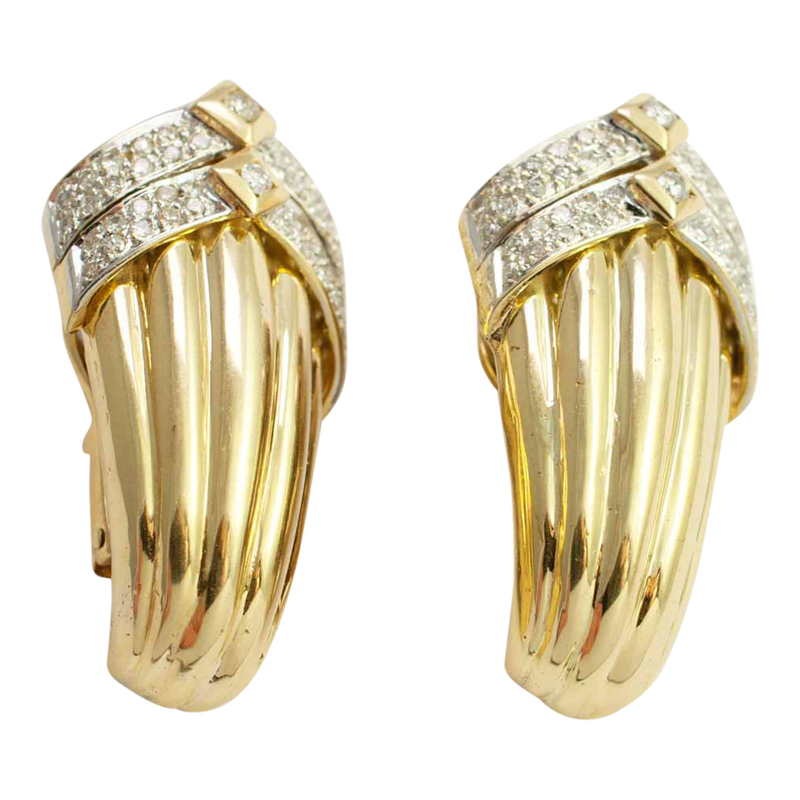 Length 3.5cms; width at widest point 2cms. 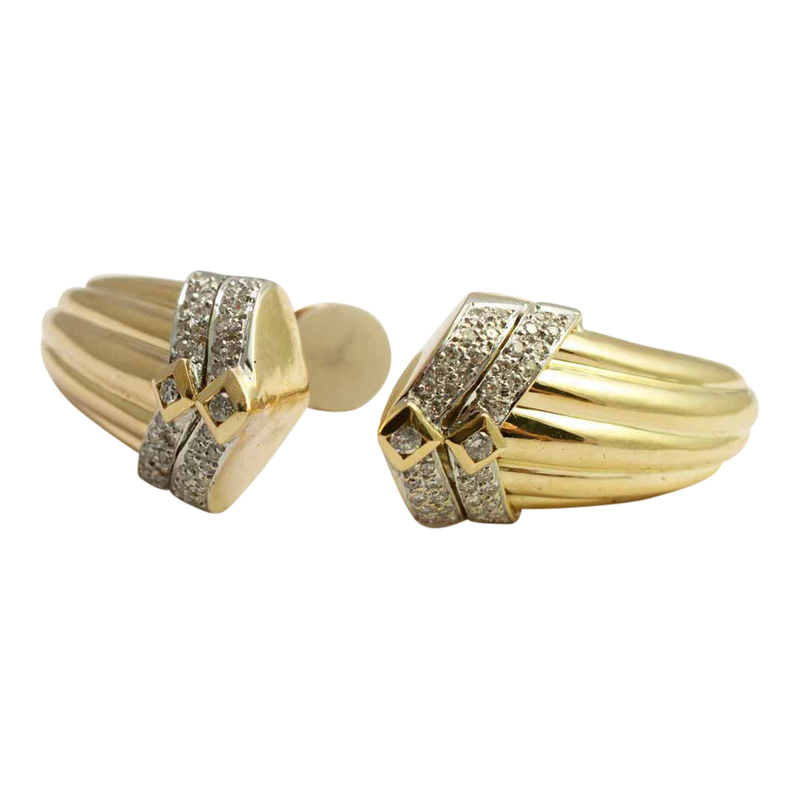 C.1960s. 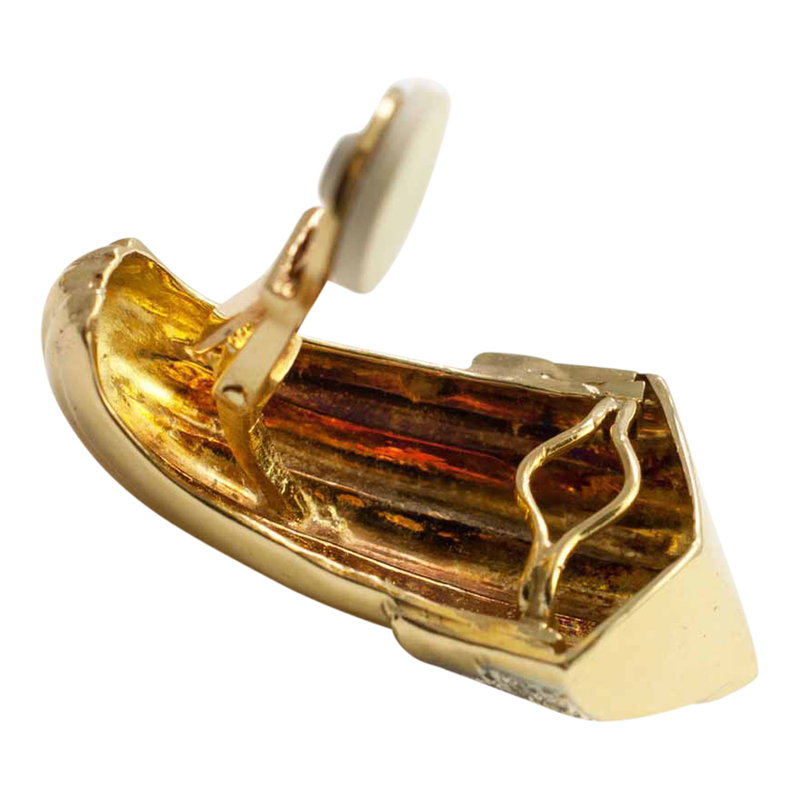 Stamped 750.